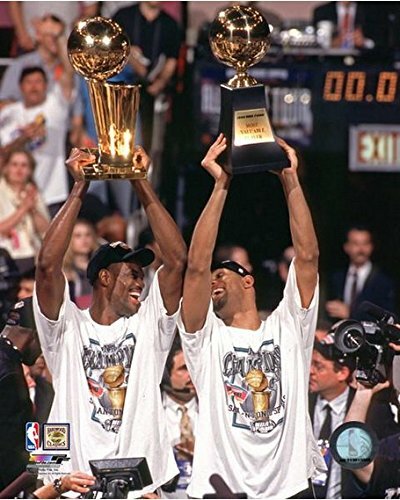 This officially licensed 8x10 color photograph pictures the San Antonio Spurs David Robinson & Tim Duncan. Photo features official NBA and NBPA logos as well as individually numbered NBA Licensing Hologram. This is not a mass produced copy. It was made in a custom photographic lab, not on a printing press.